Obituary for Dorothy C. Stafford | McDonald-Aeberli Funeral Home, Inc.
Dorothy C. Stafford, age 93, of Mars, formerly of Kalamazoo, MI, passed away peacefully on Monday, February 4, 2019 at Valencia Woods. Born on January 25, 1926, she was the daughter of the late Howard and Iva Cooper. Dorothy was born and raised in Kalamazoo, MI, and moved to Marathon Key, FL and then St. Augustine, FL, before moving to Mars, PA twelve years ago. 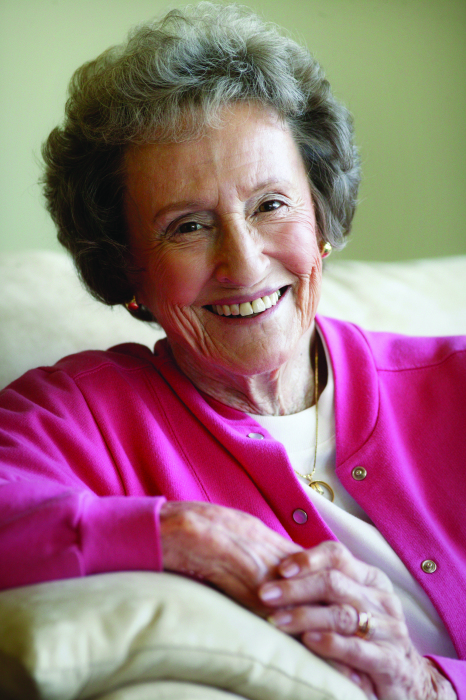 She enjoyed reading, crossword puzzles, and playing bridge. Dorothy loved people and was always happy spending time with her children and grandchildren. Surviving is her brother, Howard (Ann) Cooper of Ann Arbor, MI, her three children, Bonnie Bogart of Conifer, CO, Gary (Irene) Bogart of Mars, PA, and David (Gwenn) Bogart of Boulder, WY; grandchildren, Heath Bogart of Grosse Ile, MI, Ben Bogart of Salt Lake City, UT, Dr. Ryan Bogart of Chelsea, MI, Brandon Bogart of Mars, PA, and Ali (Tony) Dorchak of Brighton, MI; and her great-grandchildren, Hudson Bogart of Grosse Ile, MI and Makayla Dorchak of Brighton, MI. She was preceded in death by her husband, Robert O. Stafford. Friends are invited to a Memorial Service on Wednesday, February 13, 2019 at 1:00 PM in the chapel at Valencia Woods, 85 Charity Pl, Valencia, PA 16059. Memorial donations may be made in Dorothy’s name to the St. Barnabas Free Care Fund, 5850 Meridian Rd. Gibsonia, PA 15044. Arrangements are under the direction of the McDonald-Aeberli Funeral Home, Inc. 238 Crowe Ave. Mars, PA and condolences are available at www.mcdonald-aeberli.com.